The Moss Building is targeting LEED Platinum, Net Zero Energy and Living Building Challenge Petal certification. The approximately 6,500 sq. 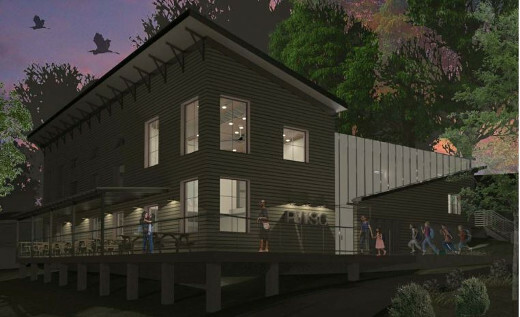 ft. project includes one floor of bunkhouse-style dormitories, a kitchen and multi-purpose event space, a classroom, staff room, and supporting spaces. 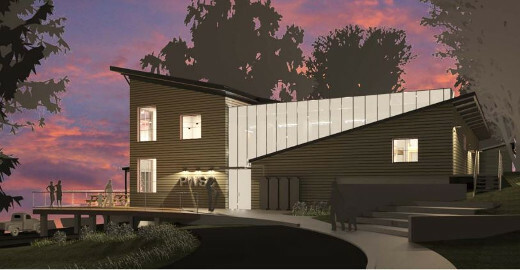 The building will be heated and cooled by a closed loop geothermal system. Composting toilets will be used in the building, and grey water will be biologically treated on-site. Energy will be extracted from compost exhaust through an innovative heat recovery system. Copyright © 2004-2019, Staengl Engineering. All rights reserved.